When one hears the name Fornasetti, whimsical decorative tabletop pieces and objets d'art with renditions of the face of opera singer Lina Cavalieri often come to mind. 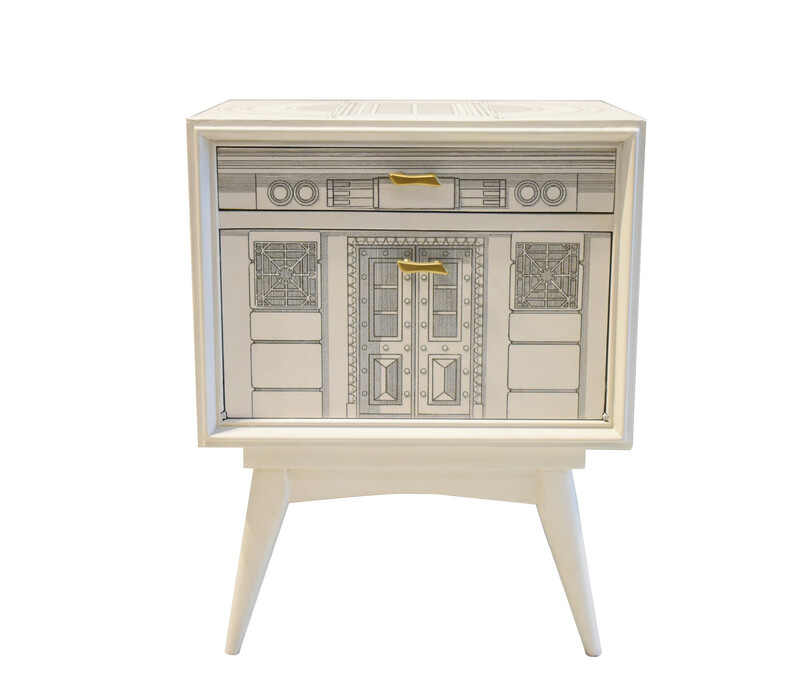 But the namesake behind the Italian decorative arts brand, Piero Fornasetti, was also known for his heavy use of black and white, and furniture styles that spoke to Greek and Roman architecture. 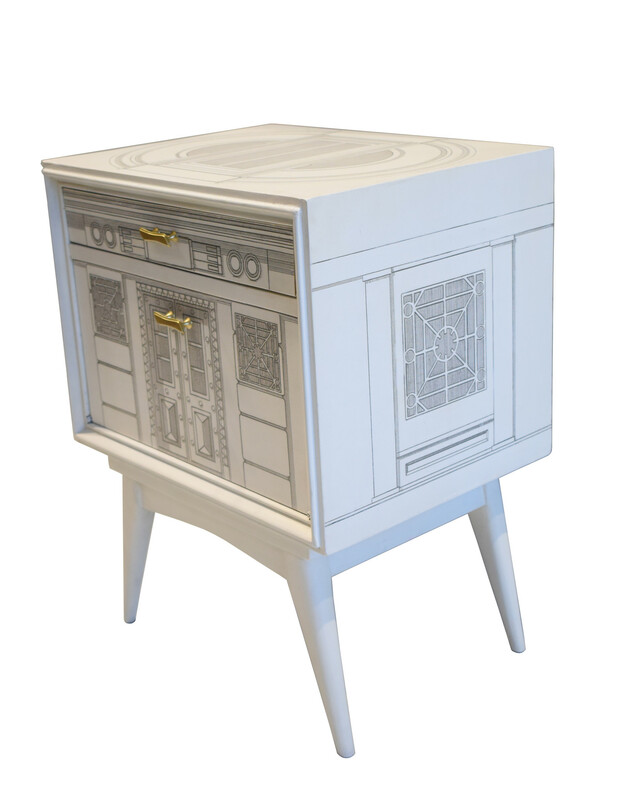 These nightstands have been designed and painted in the manner of Fornasetti.